There is a group of people who has expressed an interest in getting together from time to time to create a variety of projects. We are collecting those projects and topics and ONE BY ONE will be locating teachers, spaces, and the tools needed to create a wide variety of things. Our first class will be MAKING A MOSAIC. You will bring your a small to medium item to embellish with a mosaic. This can be anything ... from a frame, to a mirror, to a small table top, to a tin can. The teacher or leader will guide us on what to do ... and we will enjoy doing it together. Tell us what YOU would like to learn. It can be anything from swing dance lessons, to how to boost your decor with color, to how to tie in fly-fishing, to creating jewelry. The ideas are endless. But our time is not! What would you like to learn? Click here to tell us. Do you know any good teachers? Do you have a friend that is great at something that others might want to learn? Do you have a talent? Click here to tell us. Where will these classes be? The honest answer is "wherever they need to be." Different classes require different spaces. Each class will have specific hours and location. The honest answer is "wherever they need to be." Different classes require different spaces. Each class will have specific hours and location. Everyone will have to be a fun club member. For current members ... this is what you need to do. On the bottom of your FUN CLUB EMAIL ... the one you get on Thursdays ... click to update your settings. 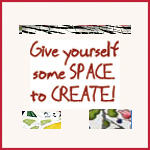 There you will find the option to select CREATIVE SPACES as a notice you would like to receive. That's it! We'll send you updates. If you're not a current member ... do this. Click here to join the fun club. When given the choices about what you would like to know more about, be sure and check CREATIVE SPACES. That's it! We'll send you updates.